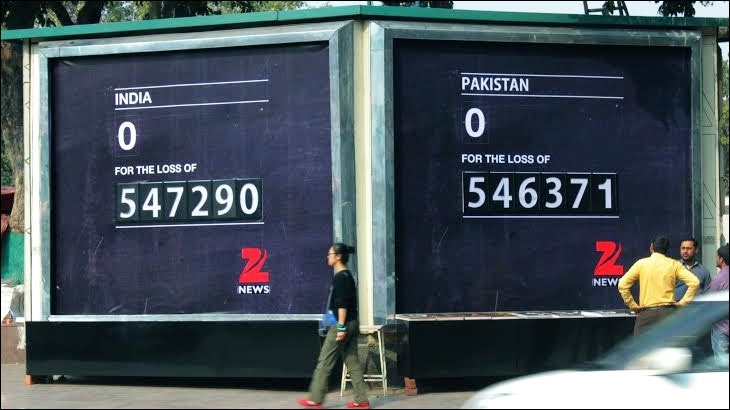 The news channel's OOH campaign, executed during the India-Pak match, confused spectators with the wrong scores and then delivered a powerful message. Usually, outdoor campaigns convey the message directly and quickly to the target audience, via text and images, as there is not much time for people to comprehend, analyse and then come to a conculsion. Brevity is the key, in these cases. 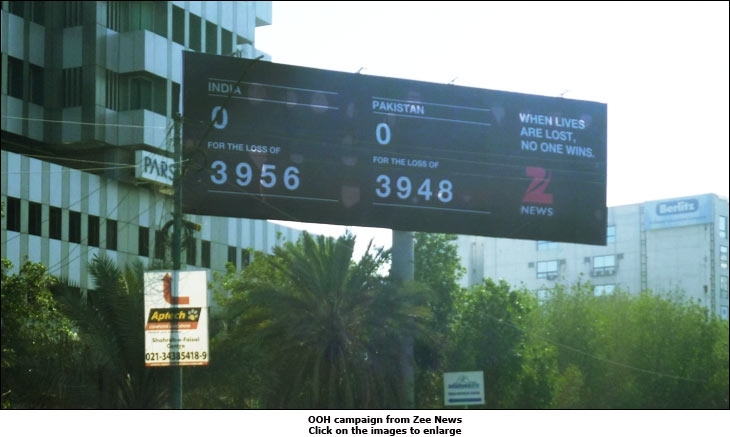 But, Zee News took a different route in its recent OOH campaign, implemented across Jammu & Kashmir, Delhi, Lahore and Karachi, on the day of the ICC World Cup India-Pakistan match, held on February 15. The channel installed manual scoreboards of a different kind. While spectators thought they were the ordinary, run-of-the-mill scoreboards, to keep on-lookers updated on the match, they were caught off-guard as the numbers didn't tally. As India started to bat and the first wicket fell, the Indian wickets column displayed '1'. Within minutes, the wickets column read 2. People standing in front of the billboards in Lahore and Karachi celebrated. The Indians, on the other hand, checked the score on their mobile phones and realised the second wicket hadn't fallen. A few minutes later, the wickets column said 3. Before long, onlookers on either side of the border were convinced that the scoreboard was faulty. After India won the match, the copy on the scoreboard changed to 'When Lives are lost, No One Wins'. 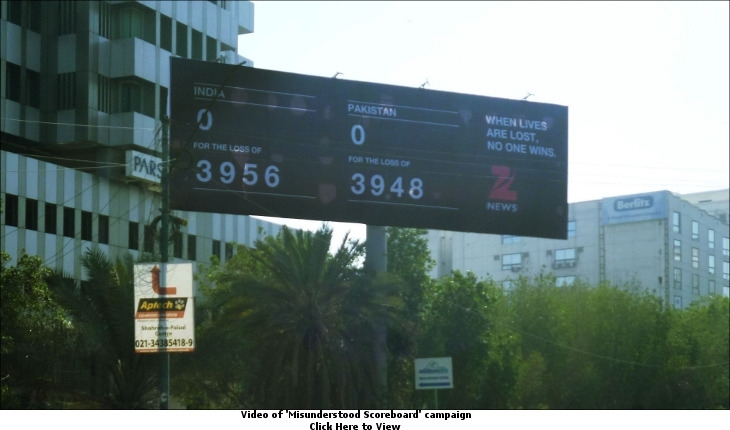 The numbers kept increasing and stopped at 547,290 for India and 546,228 for Pakistan. These numbers indicated the number of lives lost at the border, since 1947, during the battles fought between the two countries; thus, depicting that neither country won anything by losing their soldiers. The message was loud, clear and well-presented. It had the right effect on people as many came forward to light candles at the site, in memory of the fallen. The message from the 'Misunderstood Scoreboard' was indeed well received. 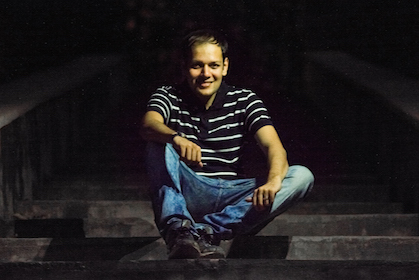 The campaign was executed by DDB MudraMax.